And so, here we are. Oli is in Sweden where it has been cold and rainy. (He tells me that the weather is courtesy of Iceland.) It’s a sure sign that colder October weather is on the way. 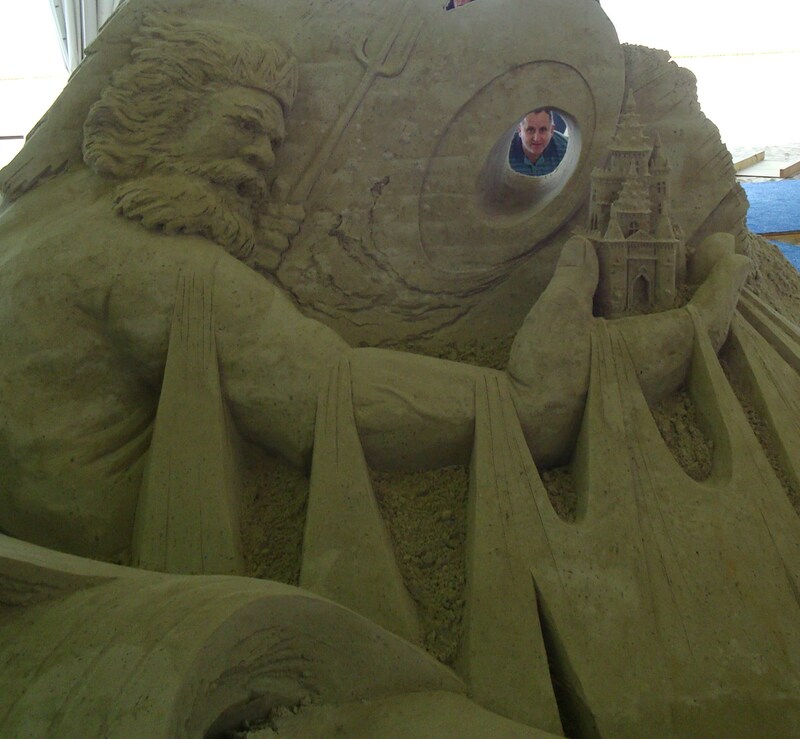 I am in balmy Virginia Beach anticipating next week’s Neptune Festival – especially the boardwalk art show and the international sand castle sculpting competition. The yearly ocean front event officially bids adieu to summer and welcomes the cooler weather and the spectacular colors of autumn. Oh, how I do miss the brilliant New England fall foliage. 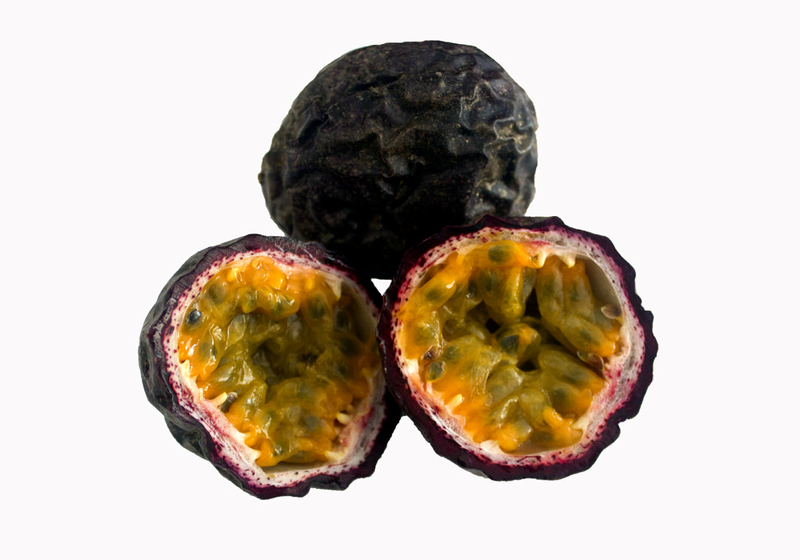 . .
What’s all this have to do with passion fruit? Just as the leaves turn in the autumn, when you cut into the purplish brown, wrinkled passion fruit, it amazes you with a burst of sunshiny, lemony yellow-orange pulp, studded with small dark seeds. The interior lining of passion fruit is white, edged with crimson red. Passion fruit packs an exotic, concentrated tart/sweet, complex flavor that in my humble opinion is best showcased on its own. 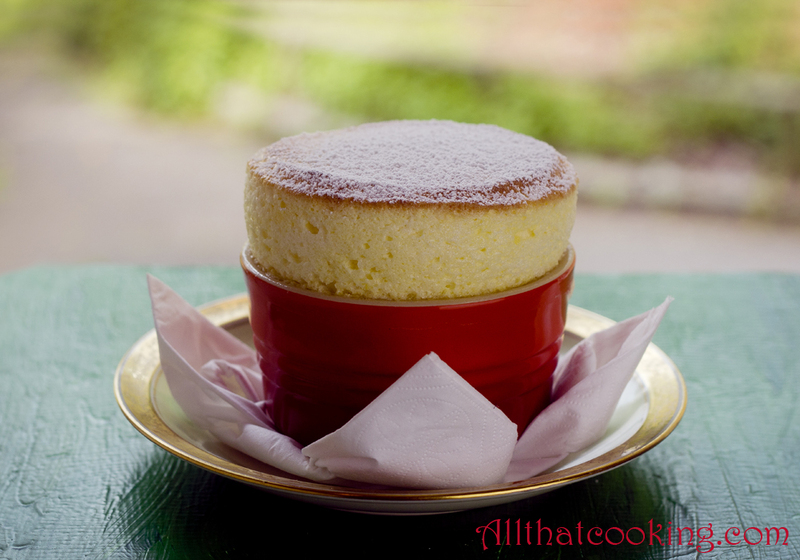 Oli’s passion fruit soufflé is perfect for this time of year wherever you live. The recipe nicely recasts elements of some of his other recipes into an unexpected dessert delight. Here’s to enjoying October’s bright blue weather, the stunning colors of autumn and Oli’s passion fruit soufflé. You will need 1/4 cup of fresh passion fruit juice. 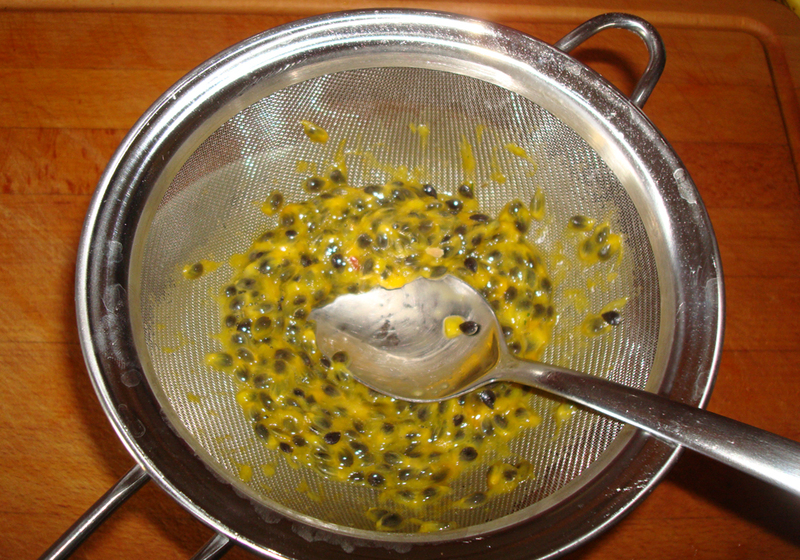 Simply cut off the top of the fruit and scoop the interior into a sieve that is placed over a bowl. Use a spoon to press out the juice then discard the seeds. You will need 1 1/2 cups. 1. 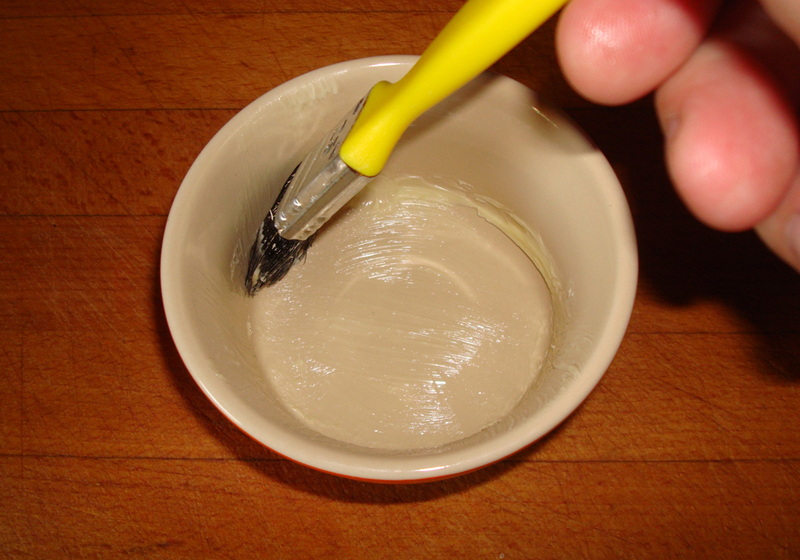 Use a pastry brush to paint the inside of each ramekin with softened butter. Paint the sides with a bottom to top stroke. Make sure the entire inside surface is covered. 2. Pour all of the sugar into one ramekin. Gently rotate it to coat the sides with sugar. 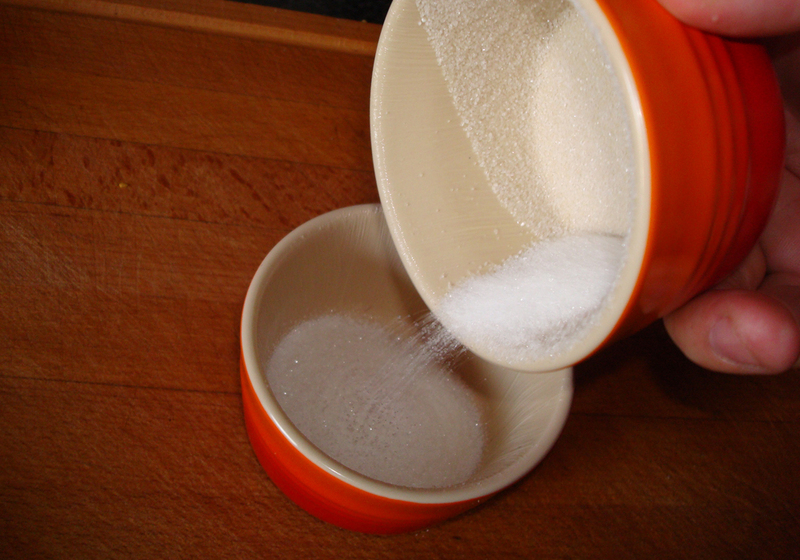 Allow excess sugar to fall into another ramekin. 3. Repeat the sugar-coating process with the other molds. 4. Refrigerate until time to fill. 1. 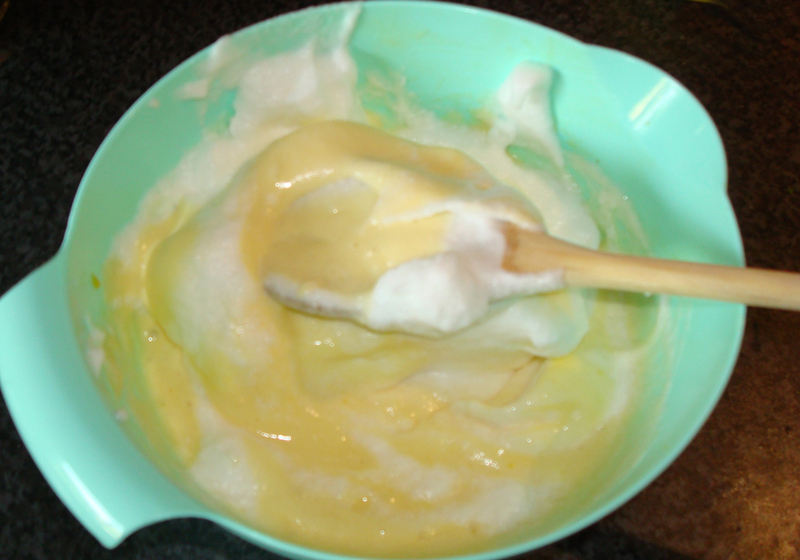 Place the egg whites in the bowl of a stand mixer fitted with a whisk. Make sure the bowl is absolutely clean. It’s a good idea to put few drops of lemon juice or vinegar on a paper towel and wipe the inside of the bowl. When you break the eggs, no trace of yolk in the egg whites is allowed. 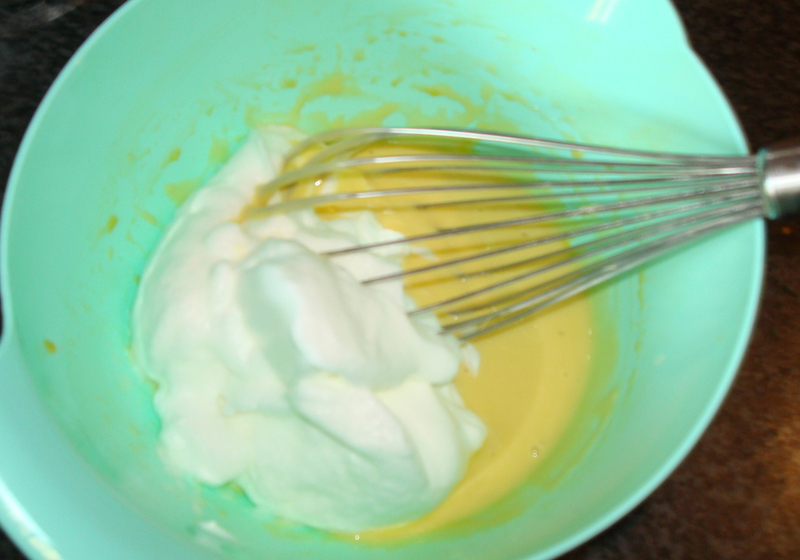 Even a drop of yolk will result in a failed meringue. 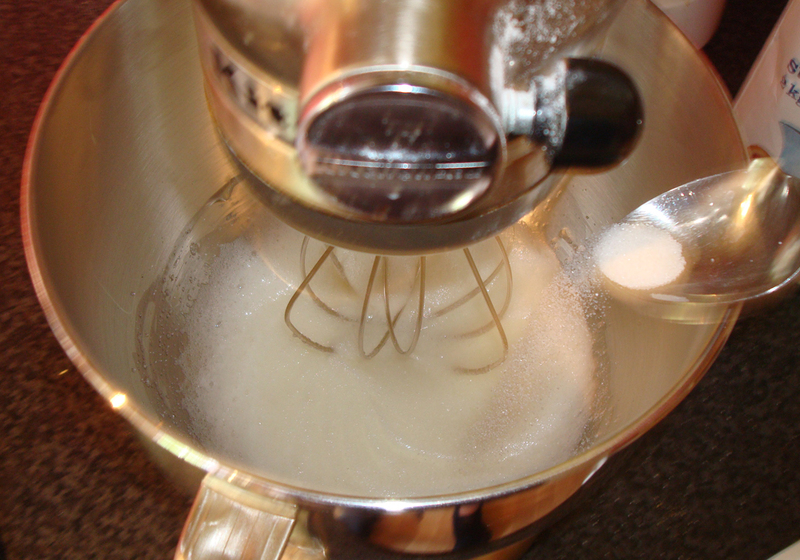 Whisk on medium-high speed for about 30 seconds. 2. Add one tablespoon of the sugar and continue whisking. 3. Count to 10 before adding the next tablespoon of sugar. It is important that the sugar is totally incorporated and dissolved before adding more sugar. 4. Count to 10 again and add the third tablespoon of sugar. 5. 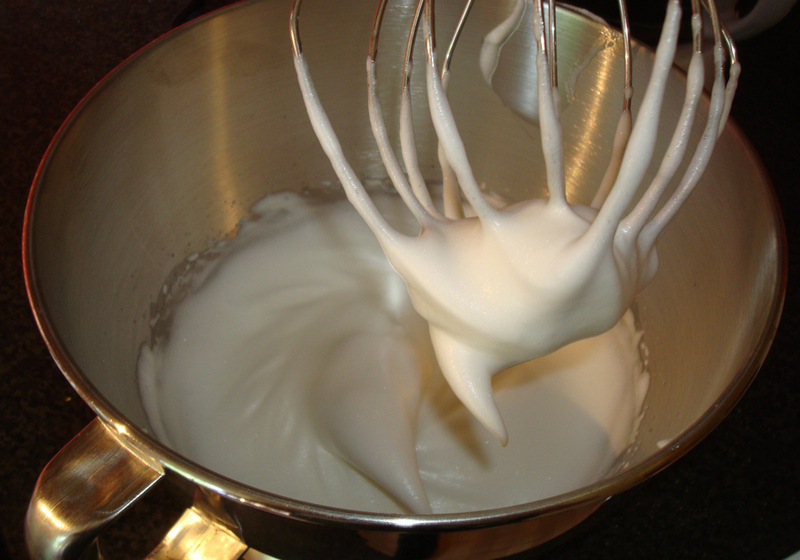 Whisk until the meringue is stiff but make sure not to overwork it. When it holds peaks and if you were to turn the bowl upside down the meringue should stay put. 1. In a large bowl gently whisk together crème patisserie and passion fruit juice. 2. Use a hand whisk to gently blend one-third of the merengue into passion fruit crème. Then use a spatula to very gently fold in the rest of the merengue. settle the crème. Then fill with remaining crème. 3. Use an icing spatula to even the surface. Make sure they are filled to the top. 4. Run your thumb around the inside edges of each ramekin to remove the crème from the sides. This will help the soufflé to rise. 5. 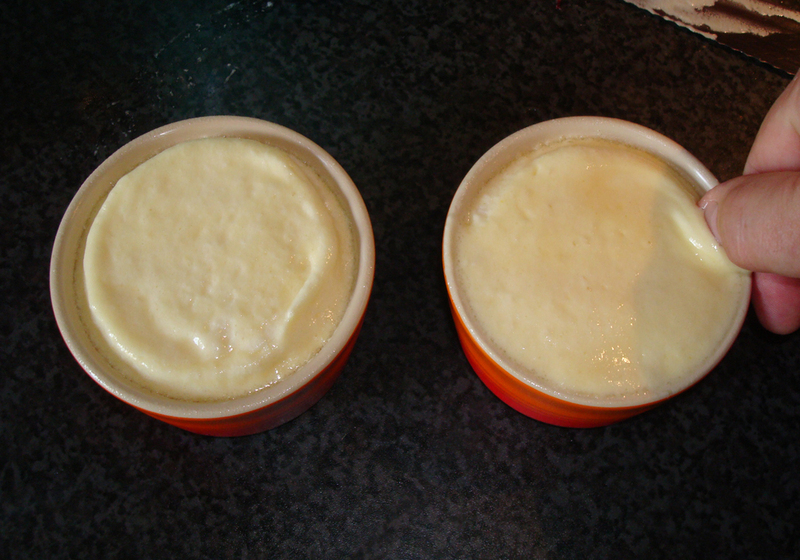 Place ramekins on a baking tray in the middle of pre-heated oven. Bake 12-15 minutes, until soufflés are golden and nicely puffed. 6. Remove from oven, sprinkle with confectioner’s sugar and serve immediately. Gallery | This entry was posted in Desserts and tagged creme patissiere, dessert souffle, elegant dessert, fruit soufflé, meringue, passion fruit, passion fruit soufflé. Bookmark the permalink. On sunday we are having guests for for dinner and among them Oli´s son Kristmundur Þór and his fiancée Gudrun Birna. The main course will be ” Addýs Marinated Lamb Stew ” and i think it is appropriate to have the Passion Fruit Soufflé for desert. the dinner was a great success and the Passion Fruit Soufflé was delicious. I LOVE the aroma of passion fruit! 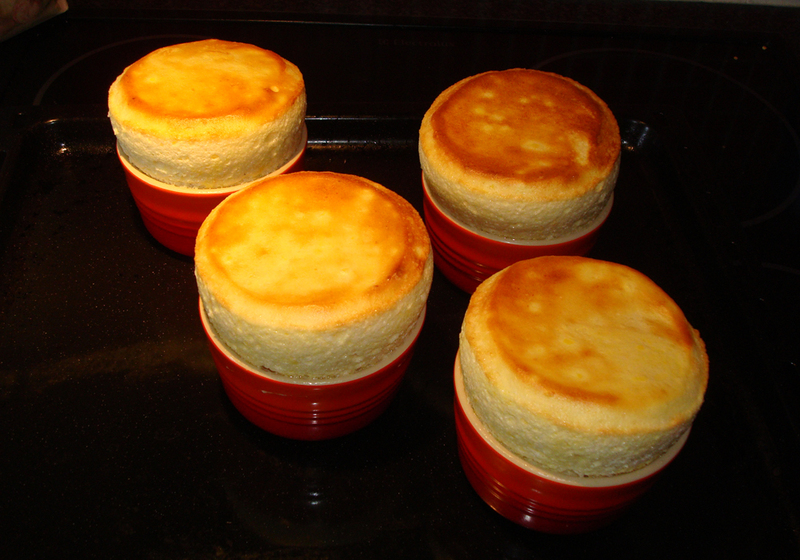 Your souffles are so well risen and look perfectly golden brown and beautiful. So thank You for being my inspiration. I went to the Ritz for dinner yesterday and was completely blown away by the Exotic Fruit Souffle and Banana and Rum ice-cream. I’ve tried desperately to find the recipe but it seems to be a jealously guarded secret. However, this looks lovely so it will definitely be tried!